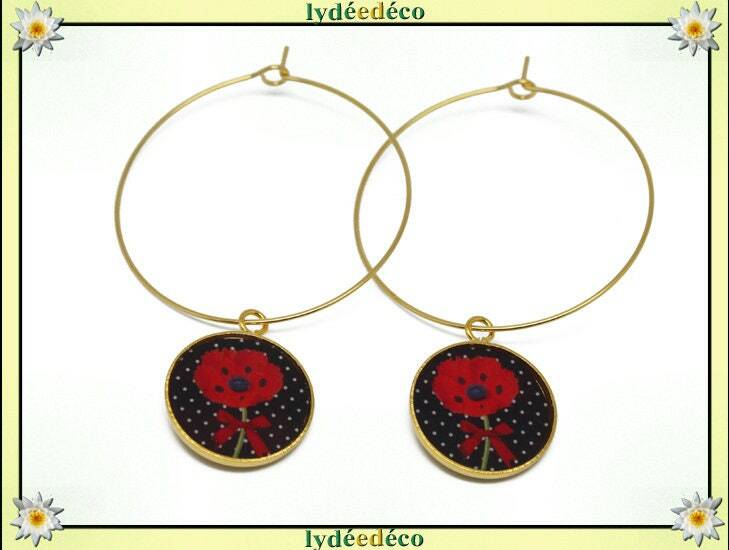 Hoop earrings poppy and polka dots! The brass, 24 k 24 k gold, an original design, colors red, black, green, white, resin. Illustration printed on quality photo paper, covered with a layer of resin. 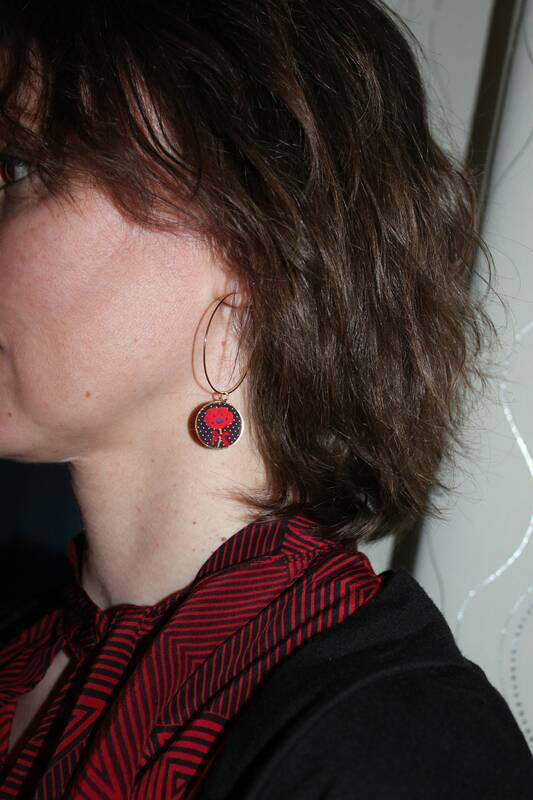 The hoops diameter 40mm, 18mm lockets. Guaranteed without nickel, lead and cadmium free. Creole ☼Les brass gilded with gold 24 carats and resin are available with different illustrations, find them in the shop.